The full drum sheet music for “Billie Jean” by Michael Jackson from the album Thriller (1982). When you hear this song on the radio, you probably recognize it within the first two measures. Interestingly enough, the only instrument being played is the drums. Peppered with some slick open hi-hat and tom placements, this drum sheet music will be a THRILL to play, even if you’re a beginner. The full drum sheet music for "Hold The Line" by Toto from the album Toto (1978). 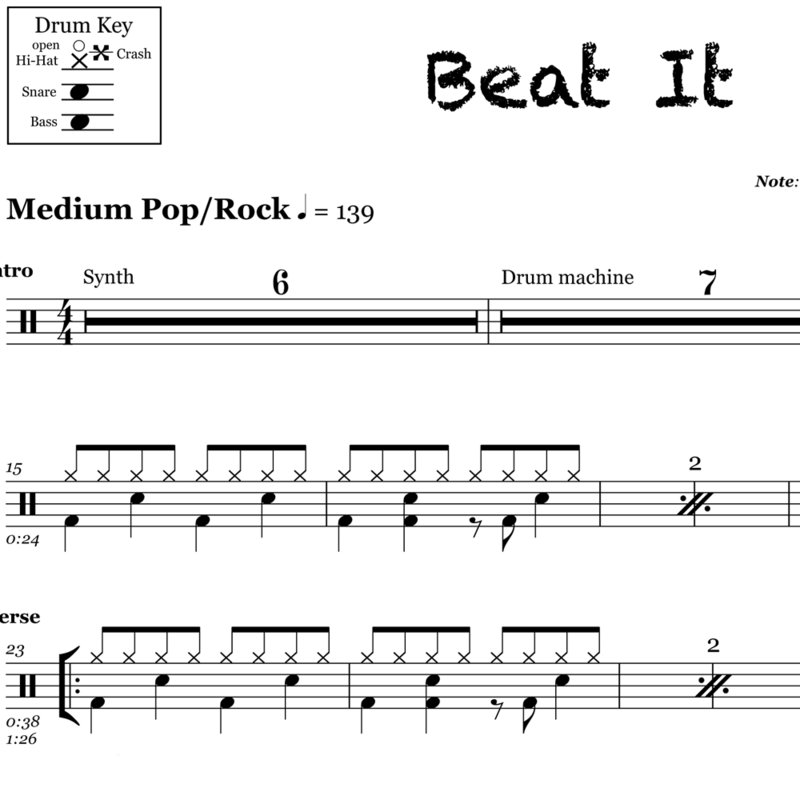 The full drum sheet music for "Beat It" by Michael Jackson from the album Thriller (1983). 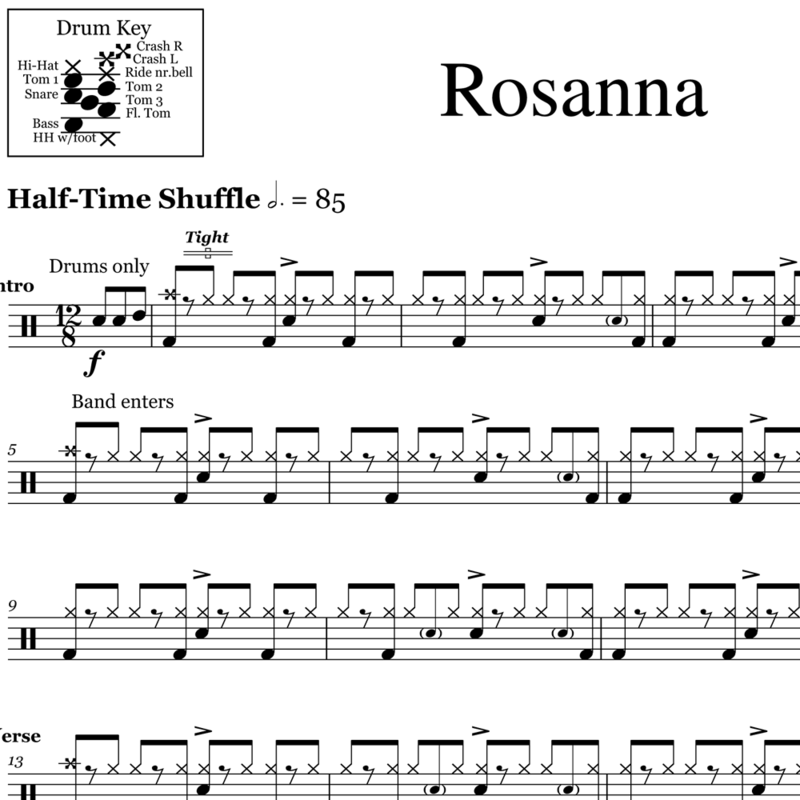 The full drum sheet music for "Rosanna" by Toto from the album Toto IV (1982). The full drum sheet music for "Africa" by Toto from the album Toto IV (1982). 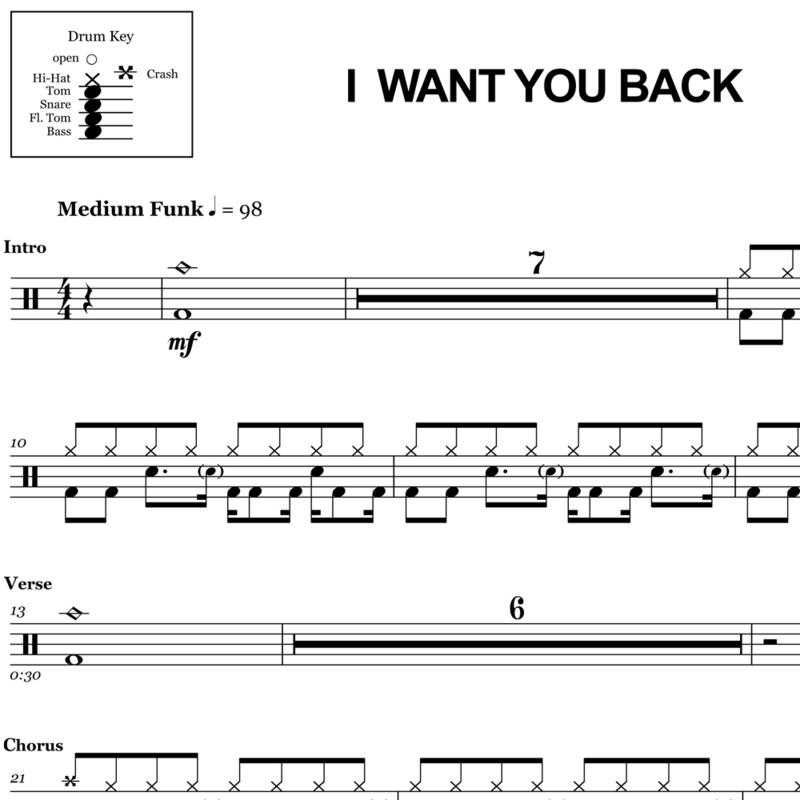 The full drum sheet music for "I Want You Back" by The Jackson Five from the album Diana Ross Presents (1969). The full drum sheet music for "Dirty Laundry" by Don Henley from the album I Can't Stand Still (1982).